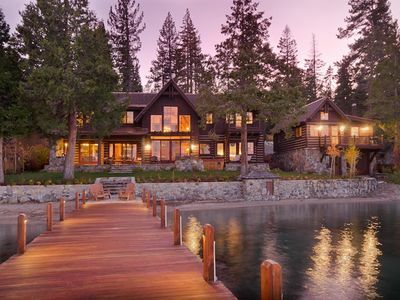 Built in 2005, this two-story South Lake Tahoe cabin is perfect for a weekend getaway or weeklong stay. 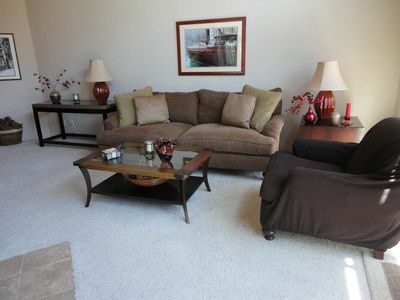 With 3 bedrooms and 2.5 bathrooms, it's great for couples, business travelers, families with kids, and large groups. 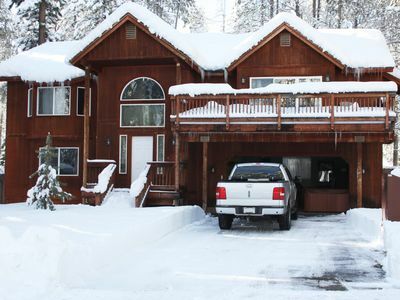 The house is located in a quiet cul de sac near a main street only 10 minutes from the casinos, ski resorts, lake, and main shopping areas. 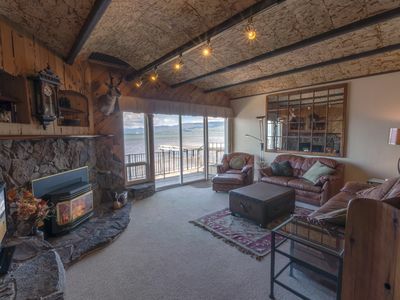 With 6 beds, the house can comfortably accommodate up to 10 people. 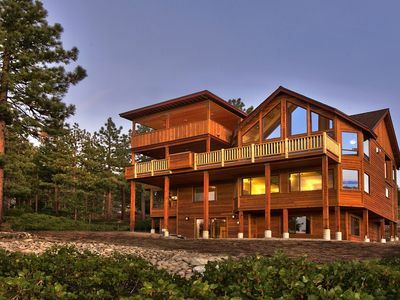 The house has two upstairs decks equipped with patio chairs and a fire pit, perfect for those summer nights in Tahoe. 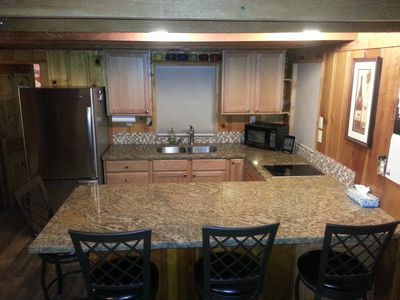 There is also a hot tub located in the garage that can be used year round. 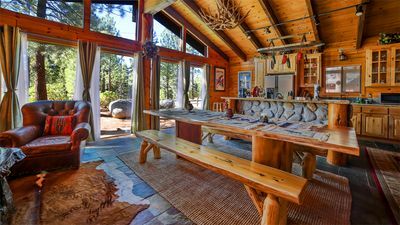 Guests can also enjoy the use of the poker table, ping pong table, television w/dvd player, board games, fireplace, and snow sleds that can be used in the winter. 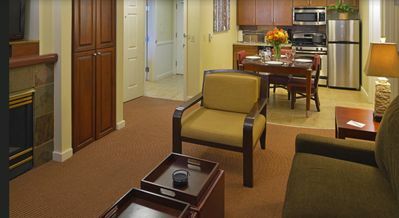 For convenience, there is wifi available and a washer and dryer in the house. There is no smoking and no pets allowed in the house. 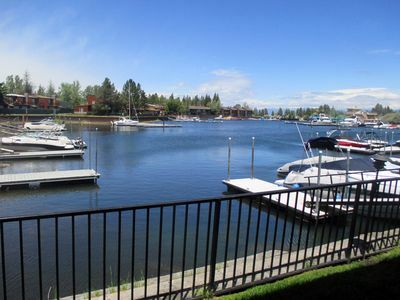 Tahoe Keys Townhouse with Beautiful Views of Heavenly Valley and waterways. 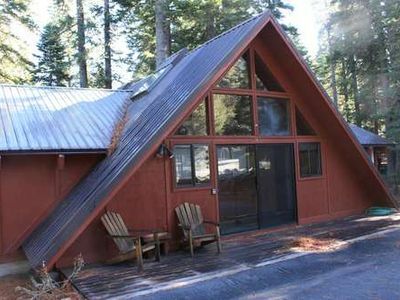 Bearstone Cabin Adorable Awesome Updated Great Location South Lake Tahoe Ca. 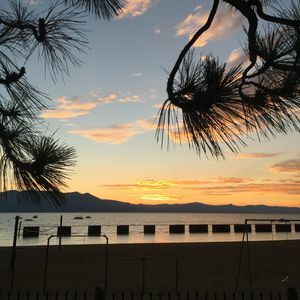 Tahoe- Lake Front Resort!! 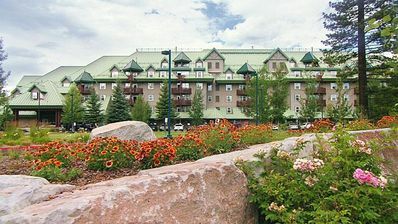 THE BEST PLACE YOU CAN STAY!